When students have a plan, they are more likely to execute on it and align their postsecondary path with their life goals. And when students are engaged in school, they are more likely to persist, get better grades, and stay out of trouble. 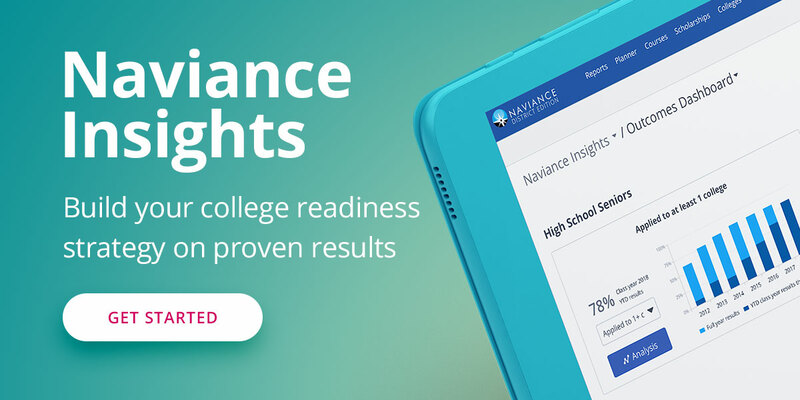 An increased focus on college, career, and life readiness for K-12 schools has created an urgency for districts to implement, track, and report outcomes related to college and career readiness. Because of this, we are seeing an emergence of tools designed to help districts with their CCLR initiatives. These products come at various price points and assist with a variety of readiness needs. When evaluating a CCLR solution, it is important to know what you are getting, what you are measuring, and how your student data will be used. Is there efficacy of the solution? Are there enough schools and districts who have demonstrated proven outcomes through use of this solution? Is the solution comprehensive, or will you need multiple solutions to achieve your goals? Does the company have proven expertise in the space? Are they considered a thought leader by education leaders and associations on how to best address CCLR needs of your schools and districts? Does the company have experienced practitioners who use a research-based methodology for implementing and driving student adoption and desired outcomes. Does the company have an expansive user network and a community of practice across K12 and Higher Education that fosters the sharing of best practices in support of student success? If the solution is for a fee, how are you measuring your return on your investment? Is the price per student comparable to other CCLR solutions in the market? What is the overall investment you need to make outside of the software costs to ensure proper implementation and adequate adoption? If the solution is free, how is the company generating revenue to enable them to invest in product innovation, development and ongoing product maintenance and support? How does the company ensure they can afford the right personnel (and enough of them) to develop, maintain, implement, manage and support the schools and districts looking to use and adopt the solution? These questions can help guide your team as they make important decisions that affect implementation, delivery, and reporting of college and career readiness initiatives to assist students to make their best-fit goals after high school.